world of hosting: What is hosting? video and other content that includes your website. Except technical problems, a web host operates 24 hours a day, 7 days a week so that anyone in the world can access your website at any time. Web hosting is usually measured in the amount of disk space that you gave on the server and the amount of data transfer (bandwidth) you need to access the server. If you have a lot of customer traffic to your website say. file downloads, you will have access to the server frequently and therefore need more space transfer site hosting someone who puts only readable text on their website. The more "items" or "content" you host on your website (ie photos, maps, PDF files, etc.) 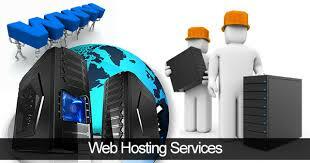 the more space you need for your website and domain hosting. A web server must have fast connections to be able to serve pages quickly. For greater speed and reliability are trying to find a host that has multiple high-speed connections and reliable backup power in case of power outages.